I made a set of egg cards a number of years ago that I always brought out in the Spring to go along with Easter Egg themes. They evolved from the barrier game cards that are available for download in the social language section. I decided they could use an update so I increased the number and difficulty and added a BINGO game. There is now a bigger range from simple to more difficult. The full set is at TPT. I put 12 of the cards for download here ( Eggs-actly PDF wordpress) . so you can try them out. I had a fellow SLP that works in the middle school use them this last week.. She said they kept the students interested which is not easy for this age group. They were able to progress into the more difficult ones. I did make some adjustments. I had made multiple color spots and they tried to tell the location of each spot. I thought that was a little too much so changed the spots to the same color. These cards have been used with 3rd grade to 7th grade students to target descriptive vocabulary and to follow multiple directions. The cards range from two step (make a green star in a red triangle) to more complex directions that require 5 or more steps (draw red lines that intersect perpendicular to each other in the center, draw a red triangle in the upper left corner, a yellow circle in the upper right corner, a green heart in the lower left corner and a blue star in the lower right corner). The following vocabulary can be elicited: inside, parallel, diagonal, end, striped, spotted, across, center, corner, intersect, above, below, vertical, horizontal, half, between, left, right, perpendicular, heart, square, diamond, triangle, rectangle, and star. I’ve also used them to elicit r,l,s and blends in multi-syllable words in spontaneous speech. They were especially good for practicing the th sound in that pesky word with. You can use them in the traditional speech therapy games of matching, go fish, following multiple directions, and mystery card. I also used the cards with a free app called Educreations. It allowed the students to use the iPad for drawing. It seems anything with the iPad is very motivating. I liked it because I didn’t have to deal with markers. I hope you have fun and let me know how they work for you. If you have followed my blog you know that I have used StoryKit in a few of my activities this year. I thought I would bring it to the fore front since I found another way to use it. I keep finding new ways to use it and it useful for so much more than just editing a story. For those who are not familiar with it, you can read more about it on the ITunes app store. It is available as a free download. When you first open StoryKit its full potential is not apparent. When I first saw the books listed for editing I thought it was just another app for downloading children’s books. Then I realized I could create my own books and insert pictures I took with my iPad or my photo library. The program also allows for writing and multiple recordings on each page. This led to use number one. I found it was great for creating directions for crafts because of the multi-modal presentation. 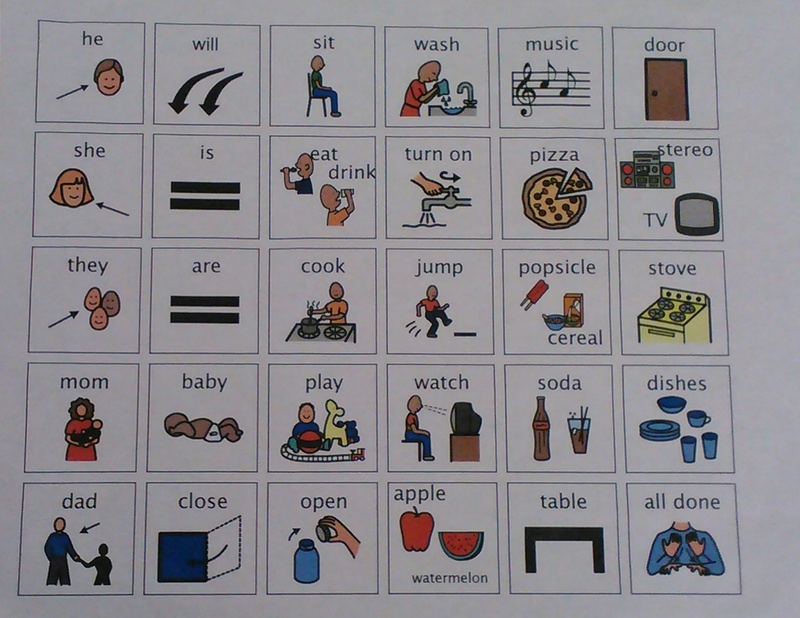 A child has pictured, written, and verbal directions that can be repeated at the push of a button. If you look back on my bulletin board crafts, there are examples of directions posted using this program. The App creations are actually better on the iPad because they are presented as a book rather than in story board form. Use number two was actually incorporated into use number one. I used the recording feature for expressive language and carry over for articulation. The students created and produced the directions. They were motivated to use clear and concise speech when recording them. If it didn’t come out clear the first time, it was easy to record it again They would make multiple recordings and in the end keep the best one. It really made them more aware of errors to correct and what details were important. My latest use was making a book of “Unexpected Animal Photos.” There are all sorts of collections of photos on the internet. It is easy to take a screen snapshot of these photos to make a book. Students can add verbal commentary once pictures are added. I’ve found that animals are a good topic for conversation and the unusual pictures encourage students to use descriptive detail and make inferences. You can make your own by using Google to search for collections of unexpected animal photos. When you find a photo that you like, you can add it to your photo library by taking a screen shot. Here are the directions to create a screen shot. Even if you don’t have an iPad, the pictures can be printed off and used for discussion. Students always seem to like to talk about animals. I find that many of my students have difficulty telling a story. I usually start with sequence cards. They start getting the idea of sequencing a story and understanding a story has a beginning, middle, and end. At this point they get bored with the sequence cards and still need work on being able to elaborate from that basic structure. I am always looking for ways to expand their experiences from the typical sequence cards and allow for more imagination and story plot development. Just before winter break, I found an free app for my iPad that allowed students to develop story plots much like using puppets. They were able to make animated stories and the structure of the program encouraged them to construct a story with sequence and plot development. The best part was they could replay their creations and critique them. 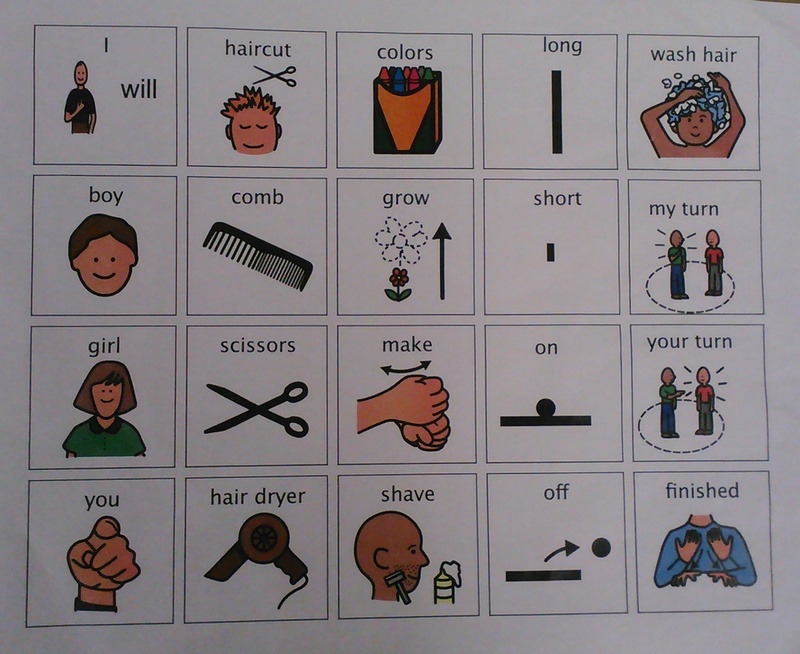 The program has built in flexibility allowing them to add their own drawings and speech. It also allowed them to add music and set a mood. I was impressed that it was child friendly and allowed for imagination to develop. This is a program that actually allows for imaginative play. My daughter and I had a fun time trying the program out. The app came from toontube.launchpadtoys.com. I want to thank this company for providing a high quality program free. It runs with little interference from advertisement, although they would like you to purchase more characters and scenes. Currently my employer has restrictions on purchasing apps for our iPads until they get the logistics worked out. This leaves me exploring the world of free apps. When this restriction is lifted, this app will be on my list for more characters and scenes. Here is an example of my daughter’s creation..